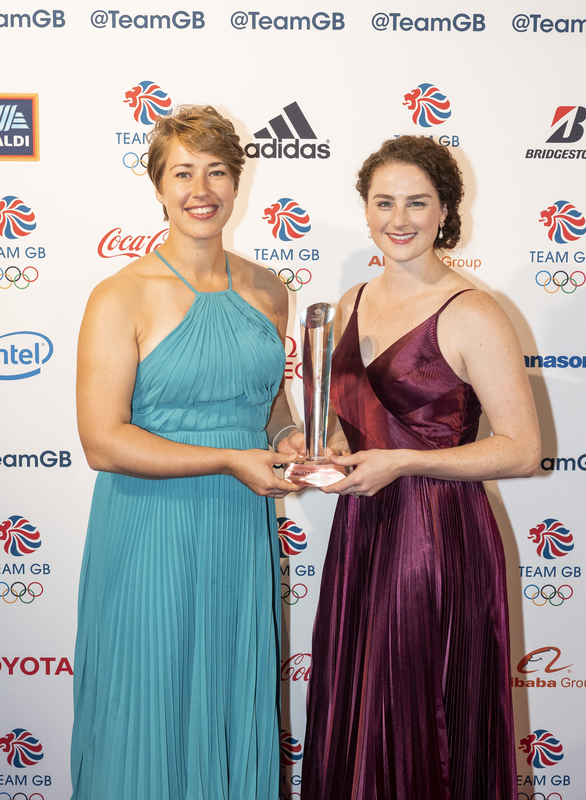 Lizzy Yarnold and the PyeongChang 2018 skeleton squad collected a clean sweep of awards as summer and winter Olympians came together to celebrate at the Team GB Ball 2018 last night. The Team GB Awards, which headlined the evening at London’s Royal Horticultural Halls, recognised the record-breaking achievements of PyeongChang 2018 where Team GB athletes collected their best ever haul of five medals. 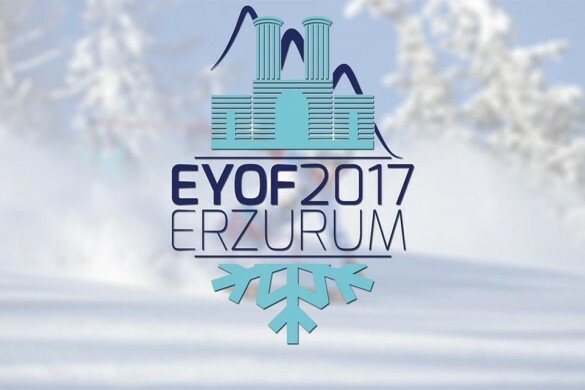 Yarnold was voted by her fellow athletes as the Olympians’ Olympian Award for the PyeongChang 2018 athlete who best demonstrated the values of Team GB. The two-time Olympic gold medallist was then on stage again, this time alongside Laura Deas, as the two medallists won the Great Britain’s Choice Award, voted for by the public, for their most inspirational moment from the Games. 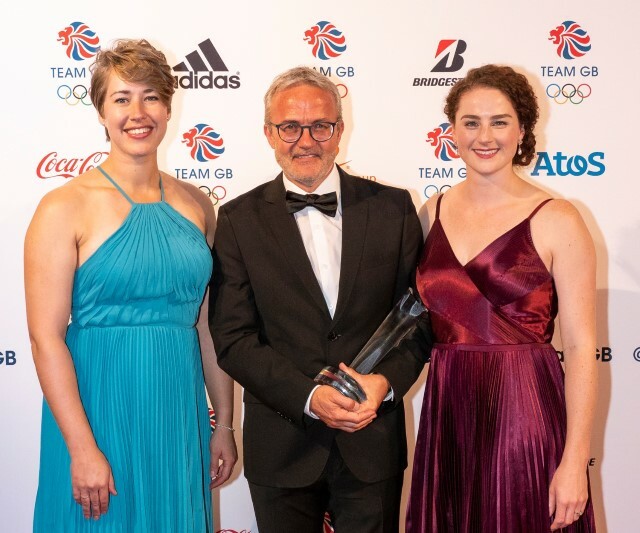 Andi Schmid, Performance Director for British Skeleton for 17 years, collected Coach of the Year after winning an incredible three medals from four athletes in PyeongChang. 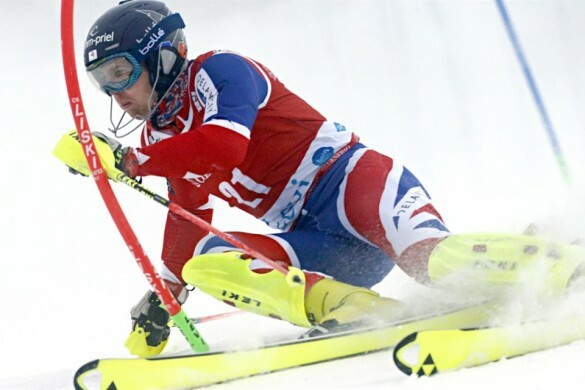 Schmid, who recently announced his retirement, has overseen five consecutive medal-winning Olympic Winter Games for Team GB which has yielded seven medals. 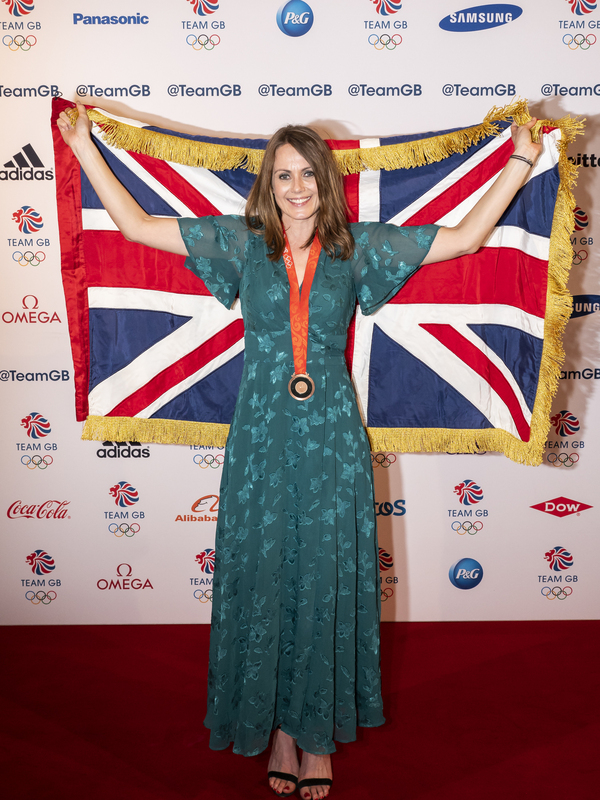 Away from the Team GB Awards there was also a special moment for Kelly Sotherton who collected her heptathlon bronze medal from the Beijing 2008 Olympic Games. Presented to her by Chairman of the British Olympic Association Sir Hugh Robertson, Sotherton is now officially a triple Olympic medallist having also won bronze in the 4x400m relay in Beijing and bronze in the heptathlon at Athens 2004. Sotherton had originally finished fifth at Beijing 2008 but disqualification for Ukraine’s Lyudmila Blonska and Russia’s Tatyana Chernova, the latter which was only confirmed last year, means the 41-year-old now becomes only the fifth female track and field athlete from the UK to win three Olympic medals. The Team GB Ball welcomed athletes from summer and winter sports to both celebrate the success of PyeongChang 2018 but also to look ahead to Tokyo 2020 and beyond. A live and silent auction was hosted on the night and all funds raised from the event go towards supporting Team GB and the athletes at future Olympic Games. Lizzy Yarnold said: “Getting any award is super special but getting an award at the Team GB Ball voted for by the other Olympians, people that I admire and respect, means a huge amount. “Being an Olympian was my childhood dream. It took me until I was 18 to find a sport where I was able to do that but then to go to Sochi and then to PyeongChang to live out that dream is something so extraordinary it’s hard to get my head around. Laura Deas said: “It’s been amazing to see it all again tonight and relive the highs from PyeongChang. Events like the Team GB Ball brings everyone back together so it’s great to see people that I haven’t spoken to since the Closing Ceremony in February. “To win the award voted for by the British public is just amazing and to know that they felt it was as inspirational as we felt it was incredible is fantastic. I’m just so happy that people felt able to connect with that as the story was unfolding. “We’re a growing sport so recognition like tonight is fantastic for skeleton. We have a great programme with really talented athletes now nipping at our heels and that’s the way it should be. It’s just so nice that the British public are so interested in our sport, our story and what we do. Andi Schmid said: “The secret to success is being given the chance to start from scratch 17 years ago and being left alone with our vision and goals. We were then able to create a programme which allowed us to develop athletes to get to the level that we’ve seen during this time and achieve great results. These achievements were based on regular change and improvement as well as having great athletes and coaches. 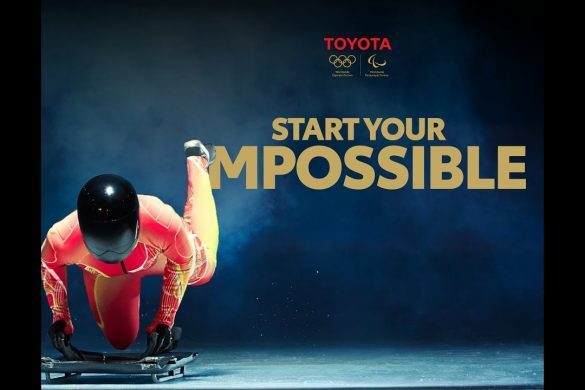 “For PyeongChang, the whole preparation came together during the Games. What was amazing was how we did our homework so well and the other nations started to struggle. The medal from Dominic [Parsons] was very special, not only because it was the first male medal we had won in many years at the Olympics but it also was a great push for the rest of the team and the two girls. I always knew we had the potential to win three medals but we needed to execute on that specific day and that’s exactly what we did. Kelly Sotherton said: “I knew I was going to be a lot more emotional getting this medal than the 4x400m bronze because the heptathlon was my event. A lot of guts, blood, sweat and tears went into this and because I came into the sport late I made sure I made the most of every opportunity to win medals. This medal was hard fought after all the injuries I had that year, missing almost 20 weeks or training, so all those memories and emotions came flooding back. This now means my athletic career is over and I can close that chapter. “I went to Beijing on the front of the plane and came back on the back. I remember being asked when we landed back in the UK how I felt and the answer was ‘bloody awful – I’ve just come fourth and fifth’. I then made different decisions to if I had won medals in Beijing. I trained harder, then too hard and I became injured and missed London 2012. I might have made better decisions and won more medals so missing out ten years ago really had an impact. “As soon as I knew that she [Tatyana Chernova] had cheated I knew it was my medal and it was only a matter of time but it’s been anxious over the last 18 months. Simon Yates’s victory in the Vuelta a España means that for the first year in history each of cycling’s Grand Tour jerseys are held by three riders from the same nation.